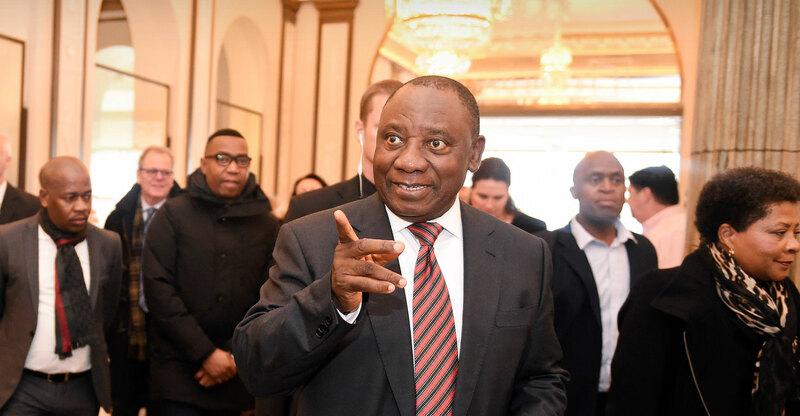 President Cyril Ramaphosa’s state-of-the-nation address, delivered in parliament on Thursday evening, was the most technology-focused speech ever delivered by a South African head of state. The speech was peppered with references to the impact of technology on the economy, the need to develop skills for the so-called “fourth Industrial Revolution” and a requirement for a major shake-up in education to prepare the country to compete in the digital global economy. His address touched on everything from the allocation of radio frequency spectrum for mobile broadband, which he said will happen soon, to a plan to create digital hubs in townships to help develop tech businesses. He also spoke about the importance of the Square Kilometre Array radio telescope and other astronomy projects in positioning the country as a leader in the field of science and technology. Here is everything Ramaphosa said in his speech that touched on ICT and science. “Given the key role that small businesses play in stimulating economic activity and employment – and in advancing broad-based empowerment – we are focusing this year on significantly expanding our small business incubation programme. “The incubation programme provides budding entrepreneurs with physical space, infrastructure and shared services, access to specialised knowledge, market linkages, training in the use of new technologies and access to finance. “The incubation programme currently consists of a network of 51 technology business incubators, 10 enterprise supplier development incubators and 14 rapid youth incubators. “Over the next six years, we will provide every school child in South Africa with digital workbooks and textbooks on a tablet device. We will start with those schools that have been historically most disadvantaged and are located in the poorest communities, including multi-grade, multiphase, farm and rural schools. Already, 90% of textbooks in high enrolment subjects across all grades and all workbooks have been digitised. “In line with our Framework for Skills for a Changing World, we are expanding the training of both educators and learners to respond to emerging technologies including the Internet of things, robotics and artificial intelligence. Several new technology subjects and specialisations will be introduced, including technical mathematics and technical sciences, maritime sciences, aviation studies, mining sciences and aquaponics. “As we grapple with the challenges of our recent past, and as we deepen our efforts to overcome the grave injustices of centuries, it is essential that we do so with our eyes firmly fixed on the future. The world we now inhabit is changing at a pace and in a manner that is unprecedented in human history. Revolutionary advances in technology are reshaping the way people work and live. They are transforming the way people relate to each other, the way societies function and the way they are governed. “As a young nation, only 25 years into our democracy, we are faced with a stark choice. It is a choice between being overtaken by technological change or harnessing it to serve our developmental aspirations. It is a choice between entrenching inequality or creating shared prosperity through innovation. “Unless we adapt, unless we understand the nature of the profound change that is reshaping our world, and unless we readily embrace the opportunities it presents, the promise of our nation’s birth will forever remain unfulfilled. Today, we choose to be a nation that is reaching into the future. “In doing so, we are building on a platform of extraordinary scientific achievement. The successful construction in the Northern Cape of the MeerKAT telescope, the world’s largest and most sensitive radio telescope, and the development of the Square Kilometre Array has enabled South Africa to develop capabilities in areas such as space observation, advanced engineering and supercomputing. “These skills and capabilities are being used to build HERA, a radio telescope designed to detect, for the first time, the distinctive radio signal from the very first stars and galaxies that formed early in the life of the universe. “This is not merely about advancing human understanding of the origins of the universe – it is about responding to the challenges that face South Africans now and into the future. It is about developing the technology and the capabilities that will build a dynamic and competitive economy that creates decent, sustainable jobs. It is about enhanced food security, better disease management, and cheaper, cleaner and more efficient energy. It is about smart human settlements and social development solutions built around people’s needs and preferences. It is about smarter, more responsive, more effective governance.